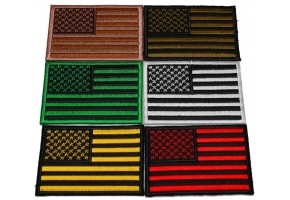 Try Burning This One Us Flag Embroidered Patch. Measuring Size: 3.5x2.5 inches (New Size!). 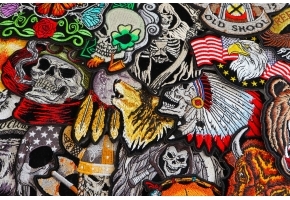 I used to make this patch in a 4 inch wide version which was a little bigger than what people were looking for. 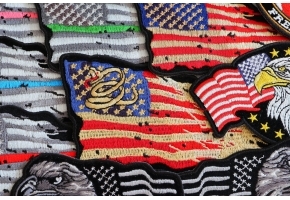 The new smaller version makes it a perfect little flag patch to sew on your vest or jacket. Don't forget you can also iron it on to hats and caps. One thing that really upsets patriotic people is burning the U.S. flag to make a point. They find it abusive and consider it flag desecration. To others, burning the flag is a way of showing how betrayed by their country they feel. However, there are many other ways of making that point. While the First Amendment does say people have the right to burn the flag as a political statement, many believe that the flag should only be burned as a way of properly disposing of it after it becomes damaged. 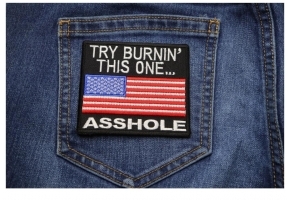 If you're opposed to flag burning as a political statement, the Try Burning This One US Flag Patch is for you. 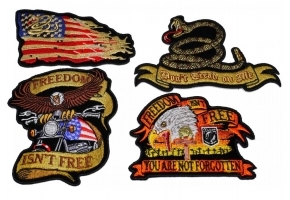 It's found in the American Flag Patches category. The U.S. Supreme Court ruled in 1989 that it was unconstitutional for the government to make it illegal to burn the flag because it's free speech. However, that didn't stop several officials from introducing Constitutional amendments prohibiting burning. The first actually passed the House in 2005 but failed to pass the Senate. In 2006, another amendment was introduced in the Senate, but it failed as wall. 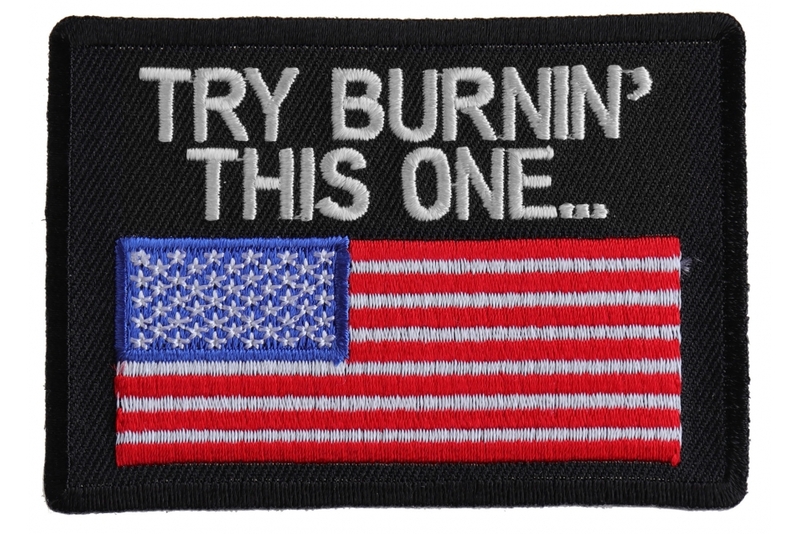 This patch features the U.S. flag and the words 'Try burnin' this one?? on it. 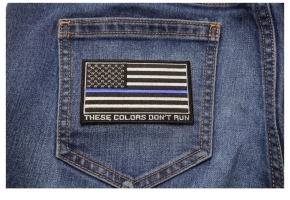 If you want to challenge people who believe flag burning is fine, put this patch in a place where it will be very visible. You can iron it on to your jacket, vest, pants, cap, or even a canvas belt. If you're putting it on leather, sew it on so you don't damage the material.